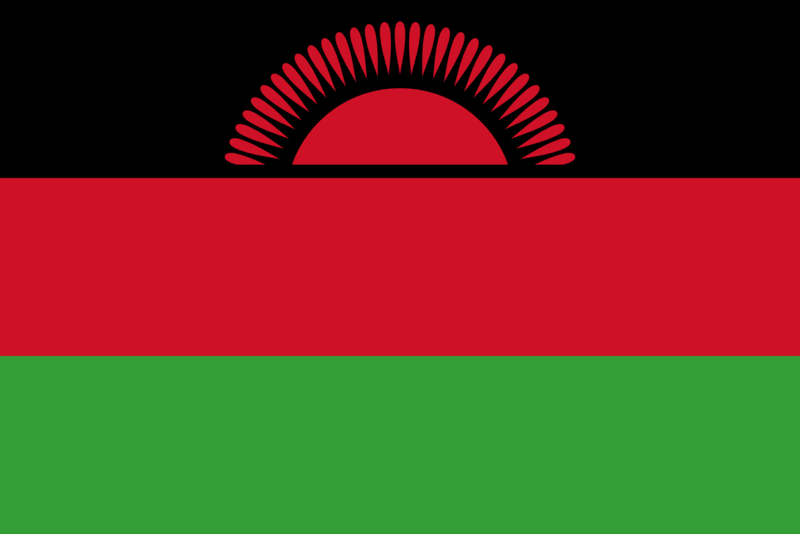 The flag of Malawi consists of three equal horizontal stripes of black, red and green with a white sun, superimposed in the center of the flag. The black color of the Republic of Malawi flag represents the African people, the red represents the blood of the martyrs of African freedom, green represents the nature of Malawi and the sun represents the dawn of freedom and hope for Africa. The current national flag was adopted in 2010. The flag resembles the pan-African flag designed by Marcus Garvey of the Universal Association for the Improvement of Black Man with inverted red and black bands and a red sun on top.